Paracoccidioides brasiliensis is the agent of the human systemic disease paracoccidioidomycosis (PCM) which affects individuals in endemic areas extending from Argentina to Central America. It is the most prevalent deep mycosis in this vast region. Infected people include rural workers but also dwellers of urban centers located on the route of migration movements. Ten million people may be infected and up to 2% of them may develop the disease (Restrepo, 1985; McEwen et al., 1995; Camargo & Franco, 2000). PCM is the eighth most common cause of death among chronic/recurrent infections and parasitic diseases in Brazil (Coutinho et al., 2002). 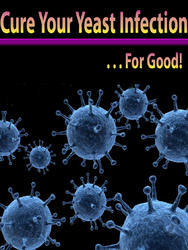 It is also recognized as one of the imported fungal infections in Japan. More than 15 cases of PCM have been reported in that region with the diagnosis methods including the amplification of P. brasiliensis genes (Sano et al., 2001). The infection is most probably acquired by inhalation of conidia which transform into yeast forms that give rise to an asymptomatic lung infection, or progress to cause acute, subacute (juvenile type), and chronic (adult type) clinical forms (McEwen et al., 1987). Experimental intratracheal (i.t.) infections with cultured yeast cells of P. brasiliensis have been obtained (Castañeda et al., 1987) but it is unclear whether yeast forms arising at environmental temperatures of 33-38°C, common in tropical habitats, particularly in the Amazon, remain viable for a while sufficient to infect human beings. Generally, P. brasiliensis is a restricted saprobe growing in nature with low production of infective propagulae (Bagagli et al., 2006). Natural infection of wild and domestic animals has been reported based on intradermal and serological tests. The fungus has frequently been isolated from the nine-banded armadillo Dasypus novemcinctus in Brazil (Bagagli et al., 2003) and from the naked-tailed armadillo Cabassous centralis in Colombia (Corredor et al., 2005). It was found in 75-100% of armadillos from hyperendemic PCM areas (Bagagli et al., 2003; Restrepo et al., 2000), and was recovered from young and older adult animals with no sign of disease. Granulomas with fungal cells were eventually observed in lymph nodes, liver, and lungs of a few animals (Bagagli et al., 2003). IgM and IgG antibodies to two P. brasiliensis major antigens (gp43 and gp70) were detected in a survey of 47 armadillos (Fernandes et al., 2004). These animals rove through areas of disturbed and humid vegetation near water sources. Isolation of P. brasiliensis from habitats of armadillo roving has been unsuccessful but specific fungal DNA has been amplified from soil samples collected inside the animal's burrow (Theodoro et al., 2005). The increase in the number of PCM cases in the Amazon has been attributed to soil churning and other practices by developmental projects in the region. Malnutrition is a recognized factor favoring PCM in rural workers. Men are more frequently affected than women who seem to be more resistant owing to estrogenic hormone production (Restrepo et al., 1984). In fact, the transition from mycelium to yeast in P. brasiliensis is inhibited by 17-P-estradiol. It seems that the host defense mechanisms are primarily effective at the portal of entry of the fungus where conidia transform into infective yeast forms. Local phagocytes, leukocyte migration, natural killer (NK) cells, and complement are elements of the host natural defense that attempt to destroy the yeast cells (Camargo & Franco, 2000) which have a unique capacity to form multibudding structures (Figure 11.1). Alveolar macrophages when in contact with P. brasiliensis yeast forms expressed threefold more MHC class II, intercellular adhesion molecule-1, and B7-2 molecules. Cultured macrophages produced IL-6, TNF-a, and MIP-1a (Fornazim et al., 2003). As determined by Schall et al. (1993), HuMIP-1a at 100 pg/mL attracts B cells and cytotoxic T cells, whereas at higher concentrations (10 ng/mL), the migration of these cells appears diminished, and the migration of CD4+ T cells is enhanced. 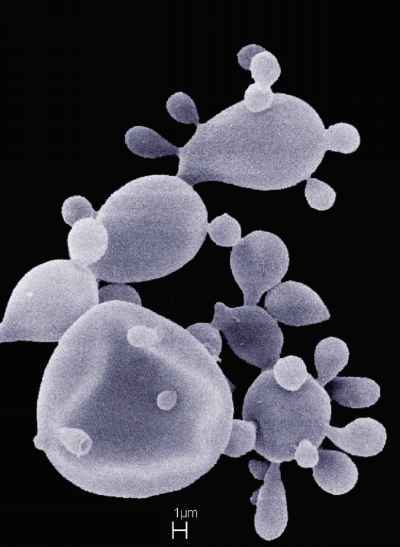 Conidia ingested by resident macrophages transform into yeast cells that grow intracellularly by budding (Cano et al., 1992). When monocyte-derived macrophages were treated for 3 days with recombinant human IFN-y (300U/mL) or cytokines from concanavalin-A-stimu-lated mononuclear cells, the multiplication of P. brasiliensis was inhibited by 65% and 95%, respectively, as compared with control macrophages (Moscardi-Bacchi et al., 1994). It seems then that natural defense mechanisms are apt to recruit and activate cells that will destroy the fungus at the start of infection. Effective granuloma formation could contain the fungal cells in the lung thwarting the infection progress. Well-resolved lesions might still contain detectable fungal remains such as specific DNA. Detection of P. brasiliensis DNA in tissue samples from infected mice is now possible based on a highly sensitive and specific nested PCR assay (Bialek et al., 2000). The gp43 gene was selected for the test aiming at a highly specific response. (nu/nu) mice that showed high mortality, with few granulomas and many viable fungi (Miyagi & Nishimura, 1983). Apparently, the absence of T lymphocytes led to unstimulated macrophages that lost their fungicidal activity. IFN-y is the key cytokine mediating macrophage activation and the organization of granulomas. Depletion of IFN-y by specific monoclonal antibodies exacerbated lung infections and resulted in increased dissemination of yeast forms to other organs (Cano et al., 1998). Mice resistant and susceptible to PCM have long been explored by Calich research group using Pb18 isolate (Calich et al., 1994). Production of IFN-y and IL-2 and a predominant secretion of IgG2a antibodies are associated with resistance. Low levels of IFN-y and early secretion of IL-5 and IL-10, eosinophilia, and production of IgG2b and IgA isotypes are found in susceptible animals with progressive disease (Kashino et al., 2000). In mice homozygous for the null mutation of the gene encoding the IFN-y receptor, and which were highly susceptible to P. brasiliensis infection, typical epithelioid granulomas were not formed. 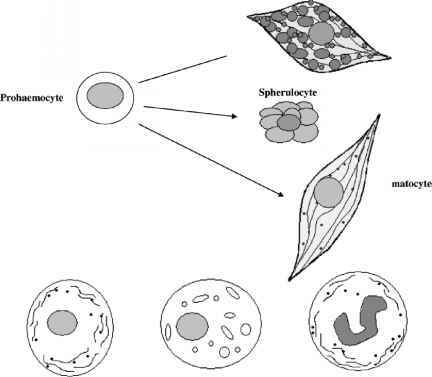 Infiltrates of neutrophils with numerous isolated yeast cells were seen. Upon i.t. challenge with virulent yeasts 100% mortality occurred after 3-4 weeks in groups of IFN-y, IFN-y-R, and IRF-1 knockout (-/-) mice but not in IFN-a-R and IFN-0-R knockouts (Travassos et al., 2004a). Moreover, IFN-y, TNF-a, and IL-12-dependent expression of ICAM-1 was upregulated in T lymphocytes after infection with P. brasiliensis. ICAM-1 is effectively involved in cellular migration and organization of the granulomatous lesion (Moreira et al., 2006). In Balb/c mice infected with conidia, ICAM-1 was present in bronchiolar epithelium, type II pneumocytes, and macrophages as well as on vascular endothelium. The decrease in CFUs on the early stage postchallenge coincided with upregulation of ICAM-1, VCAM-1, CD18, and Mac-1 expression by cells of the inflammatory process (Gonzalez et al., 2005b). An association of KC and MIP-1alpha (CCL3) and neutrophil infiltration in the lungs of infected mice was observed during the early acute phase of infection. In IFN-y KO mice, both KC and MIP-1alpha had increased expression simultaneously with chronic neutrophilia. High levels of RANTES/CCL5, MCP-1/CCL2, EP-10/CXCL10, and Mig/CXCL9 were observed along with mononuclear cell infiltration in the lungs of infected mice. Infected cells from wild-type mice preferentially migrated in response to IP-10 (CXCR3 ligand), whereas those from IFN-y KO mice migrated in response to eotaxin/CCL11 (CCR3 ligand) (Souto et al., 2003). These results show that IFN-y by modulating the expression of chem-okines and their receptors strongly influences the kind of cells that infiltrate the lungs in mice infected with P. brasiliensis. TNFR, membrane-bound TGF-0, and forkhead-box 3 was found in PBMC from patients exhibiting a strong suppressive activity (Cavassani et al., 2006). Dimorphic fungi which cause systemic mycoses, P brasiliensis, Blastomyces dermatitidis, Histoplasma capsulatum, and Coccidioides immitis, have been classified in the Onygenaceae family sensu lato, order Onygenales and phylum Ascomycota, although not all the teleomorphic forms have been discovered. Analyses of rRNA divided Onygenaceae into several clades. The new Ajellomycetaceae family Untereiner, Scott and Sigler fam. nov. was introduced for a distinct monophyletic clade that includes the genus Ajellomyces and species dermatitidis (anamorph B. dermatitidis Gilchrist and Stokes), capsulatus (anamorph H. capsulatum Darling), and crescens (anamorph Emmonsia crescens), as well as other genera and species, Emmonsia spp., Paracoccidioides (P. brasiliensis) and Lacazia (L. loboi) (Untereiner et al., 2004). P. brasiliensis, A. dermatitidis, and A. capsulatus grow in the yeast phase in vivo and in vitro at 35-37°C, therefore are called thermodimor-phic, with the mycelial phase developing at lower temperatures. None of the members of this clade display keratinolytic activity which is a mycological phenotype of many fungal species within Onygenales. A recent study of ten clinical and environmental isolates demonstrated that P. brasiliensis has either haploid or aneuploid genome, whose size is in the 26.3-35.5 Mb range per uninucleated yeast cell (Almeida et al., 2006). The authors used flow cytometry and Syber Green I-stained cells to determine the DNA content values in R1 uninucleated cell subpopulations (Almeida et al., 2005). Ploidy was estimated by comparing these values with those previously reported for the same isolates using weighted sum of pulsed field gel electrophoresis chromosomal bands, which totalize 4-5 with molecular masses between 2 and 10 Mb (Cano et al., 1998; Feitosa et al., 2003; Montoya et al., 1997, 1999). Recently, three distinct phylogenetic groups of P. brasiliensis have been identified following analysis of multilocus genealogies of eight regions from five different loci (Matute et al., 2006a). A total of 65 clinical and environmental isolates from endemic regions of Latin America were studied. Most of the samples were classified as species S1, distributed in Brazil, Argentina, Paraguay, Peru, and Venezuela, while phylogenetic species PS3, which was strongly supported by the a-tubulin genealogy, included 21 Colombian isolates. Phylogenetic species PS2 comprised five Brazilian and one Venezuelan isolate. The genealogies of four regions strongly supported PS2 as an evolutionary independent lineage, which is, however, in sympatry with S1, suggesting barriers to gene flow other than geographic isolation. Additional sequencing analysis by Matute et al. (2006a) also indicates for the first time that P. brasiliensis might undergo recombination in Nature. A complementary survey showed that the fungal phylogenetic species can easily be identified with a microsatellite marker system that unequivocally discriminates between S1 and PS2 (Matute et al., 2006b). Attempts at transformation of P. brasiliensis in vitro have only recently been successful. Yeast cells of strain Pb01 were transformed to hygromycin B resistance using plasmid pAN7.1. The integrated HPH sequence in the transformed genomes had a degree of instability probably due to the multinuclearity of P. brasiliensis cells (Soares et al., 2005). A similar transformation of P. brasiliensis was achieved by coculturing with Agrobacterium tumefasciens (Leal et al., 2004).